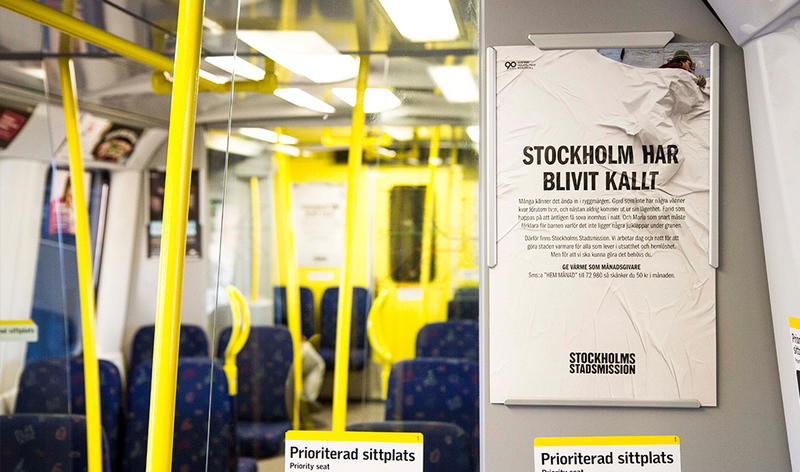 In our winter campaign for Stockholm Stadsmission we want the inhabitants of Stockholm to become monthly donors and give warmth to everyone that has been left in the cold. Together with the artist Dante Kinnunen we recorded a new version of Orups classic hit-song "Stockholm". The song could be heard and shared in a custom made "frozen" SoundCloud-player that thawed during every listening. 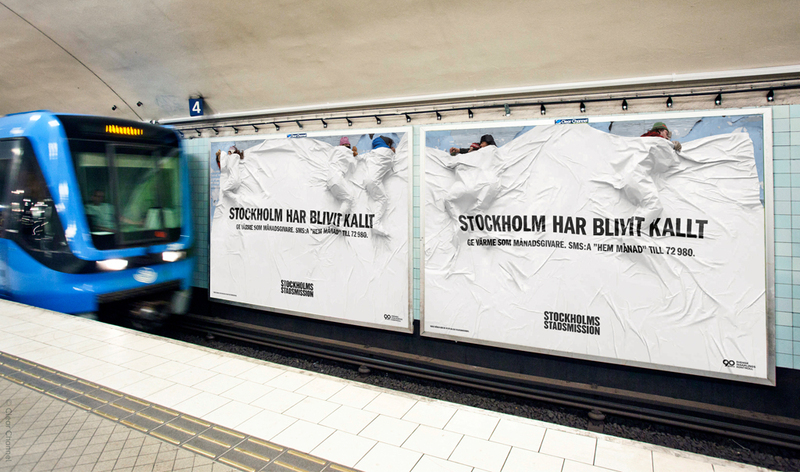 The song was also used in the tv-commercial. 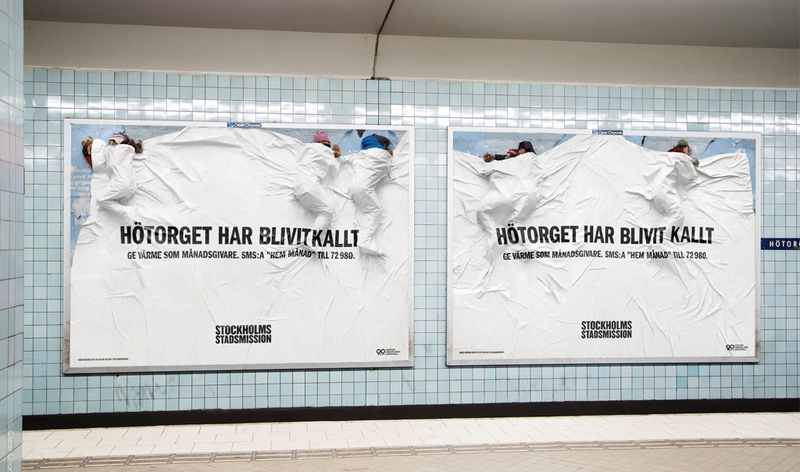 In the subway-stations we made unique billboards to draw attention to the cold and the vulnerability of the city.